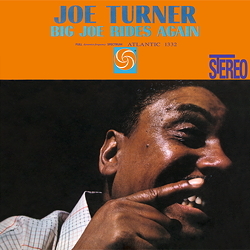 ﻿That the experts inducted 'Big Joe' Turner into the Blues Hall of Fame in 1983, i.e. during his lifetime, is surely in order when one considers how he expressed his attitude to life with his 12-bar stylistic freedom. That he was additionally honoured by being posthumously inducted into the Rock and Roll Hall of Fame, however, makes one wonder whether the incorruptible experts had made a mistake. No matter what: this giant of a man with his big, gentle voice had certainly earned a place of honour in the era of swing as well.